The cashew tree is native to Brazil’s Amazon rain forest. it is now cultivated at commercial scale in Brazil, Vietnam, India and in many African countries. The research has shown that cashews are a good source of nutrients as they are rich in healthy unsaturated fats, high in dietary fiber and have an excellent profile of plant-based proteins. They also contain a wide variety of important micro nutrients including vitamins and amino acids. No significant differences were found among samples from different origins. 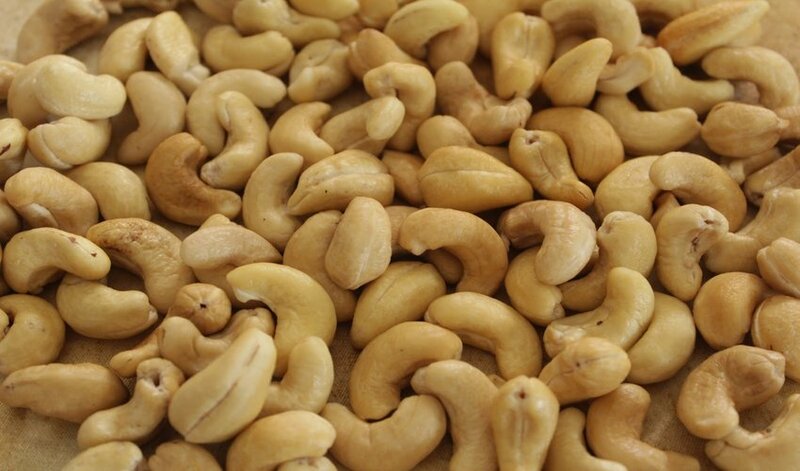 cashews are relatively high in fat, but most of that fat (80%) is unsaturated. Cashews are high in calories, 100 g of nuts provide 553 calories. Cashew nuts are considered to be a “low-fat” nut. In fact, cashew nuts contain less fat per serving than almonds, walnuts, peanuts and pecans. It is important to look at not only the amount of fat, but also the type. Saturated fat can raise blood cholesterol levels, which can increase the risk of cardiovascular disease. On the contrary, unsaturated fats, such as mono- and polyunsaturated fat, can actually decrease low-density lipoprotein (LDL or “bad” cholesterol) levels. Nuts consumption is associated with several health benefits due to their particular nutrient composition. Including nuts in a healthy diet is associated to a reduced risk of cardiovascular disease and mortality, especially stroke, and to a decreased risk of metabolic syndrome and diabetes. Furthermore, epidemiological and clinical studies have shown that frequent nut intake is not associated with weight gain. However, over consumption of cashew nuts can cause unwanted weight gain, With cashew nuts, moderation is key in reaping the health benefits. Cashew nut allergy is a common hypersensitivity condition in some individuals, especially in the children. The reaction symptoms may range from simple skin itching (hives) to severe form of anaphylactic manifestations, including breathing difficulty, pain abdomen, vomiting, and diarrhea.